The RMC was started in 2004 by Wenche Eilertsen and Per-Erik Dahlman aka Pero, after Wenche had been running her shop, Wenches Tattoo since 1998 in Harstad and Pero had recently started tattooing. Wenches son Tommy later took over running the shop when Pero moved back home to Oslo to start Lucky 7 tattoos. Wenche started tattooing in 1997 in Harstad and was one of the first female tattoo artists in Northern Norway, before she got into tattooing she studied art and graphic illustration, did oil paintings and drawings amongst other kinds of art. She works in several styles of tattooing but particularly enjoys doing portraits and realism. Tommy started tattooing in 2003 in Harstad, after studying art and graphic design, and has since done quite a bit of traveling, working in places ranging from Buenos Aires to Bavaria, Rio de Janeiro, Montreal, Svalbard etc. as well as conventions around Europe and the Americas, he hasn't stopped traveling for guest spots and conventions, but still tries to do a few a year, although he is mostly in the Harstad shop these days. He particularly enjoys doing traditional tattoos, Japanese, and black and grey realism. But does not mind doing any style as long as it leads to a good looking tattoo! We're also also lucky enough to have some excellent guest artists visiting us, mostly in the summers, although a few of them have promised to return for the arctic winter, most recently we've had Ariel Perez, Felipe Andrade and Sergey Ambroz all of them incredibly talented artists who we hope to see again soon. We will be posting on the Blog section on this site and on our Facebook page when we have any news of upcoming guests. The shop is open Mondays to Saturdays from 10am to 6pm. We normally work by appointment only but when we do get last minute cancelations we post about drop in opportunities on our Facebook page. 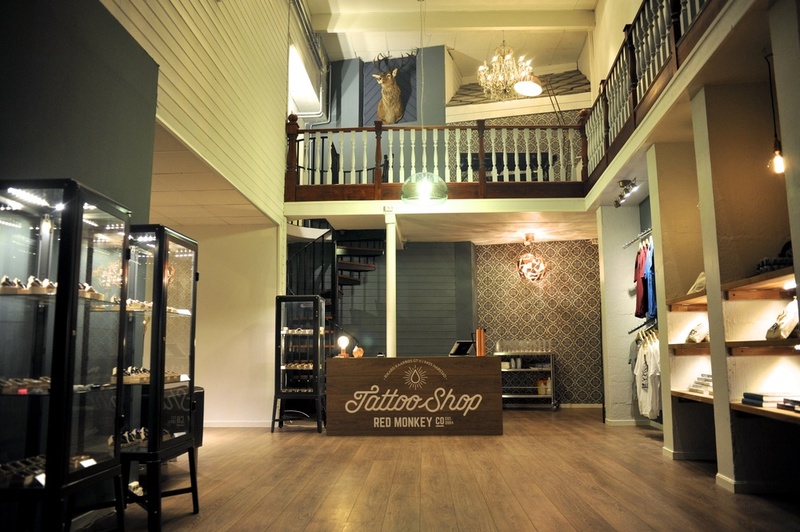 Do feel free however to stop by whenever for a coffee and a chat about your ideas for your tattoo.